MegaDownloader is a free,fast, easy-to-use tool for downloading megalink files(even which are encrypted). MegaDownloader is the free and fast app that lets you download files directly from mega.co.nz to your computer. While this app is unofficial it's designed specifically to make the business of downloading files from mega.co.nz as easy and as quick as possible. 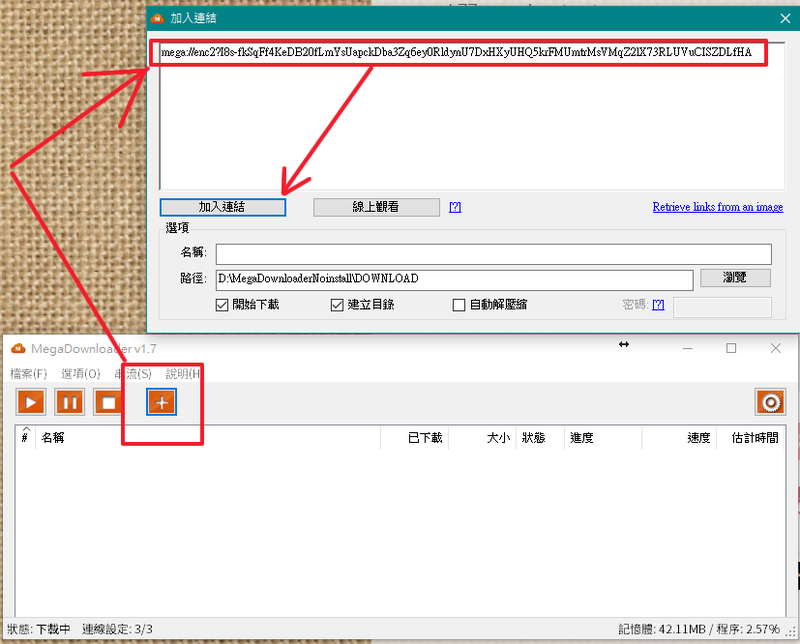 For Mac users to download encrypted megalinks, jdownloader (http://jdownloader.org/) is what you need.